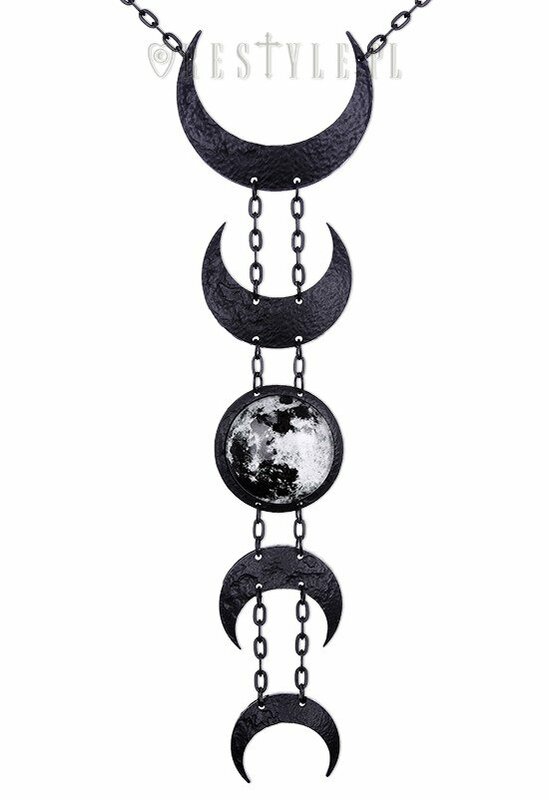 Crescent long pendant, occult jewellery, luna "LUNAR BLACK NECKLACE"
Necklace presents moon phases carved in alloy. In the center there is a graphic of a moon underneath the magnifying glass. 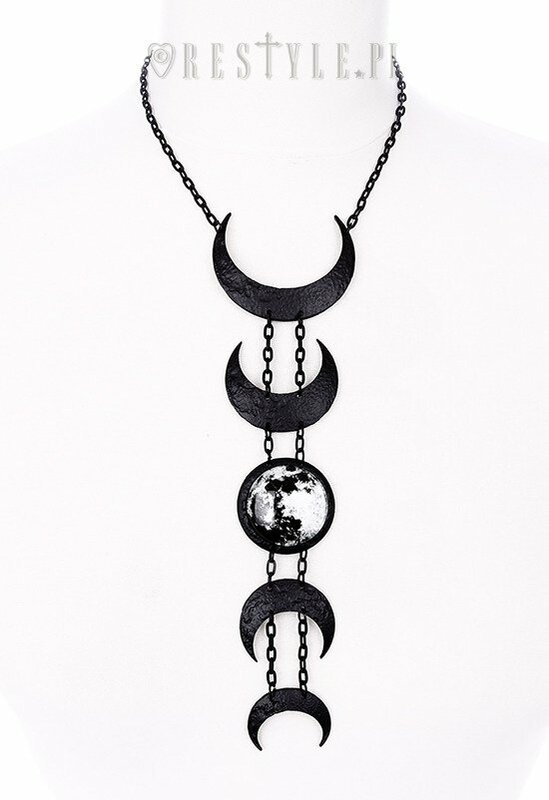 Moon Jewellery in matte black colour. This is one of my favorite pieces of this brand. I love the weight to this necklace. It's not so heavy that your neck is sore by the end of the day despite how large it is. I love this necklace. I own the black one and the silver plated one and they are perfect. You can wear them even in the winter above the clothes. It's a beautiful necklace indeed but mine came broken at one of the corners of the moon at the top. I guess the material gets too thin and kind of fragile on that zone, I don't know.